Hey, Los Angeles! Let's watch 'Fresh Off The Boat' together! If you're in Los Angeles, you're invited to join Visual Communications, Angry Asian Man, the Japanese American National Museum, and Dis/orient/ed Comedy for a live watch party for the broadcast premiere of ABC's new Asian American family sitcom Fresh Off The Boat. Because this is kind of a big deal, excitement is high, and it's more fun to watch together. We'll watch the two-episode premiere live at 8:30pm and 9:30pm, along with a community discussion afterwards. Jenny Yang and I will lead a conversation with discussants Jen Wang, Oliver Wang, Milton Liu -- and you! It's happening Wednesday, February 4 at the National Center for the Preservation of Democracy (across from the Japanese American National Museum) in Little Tokyo. The premiere of Fresh off the Boat on ABC is here! 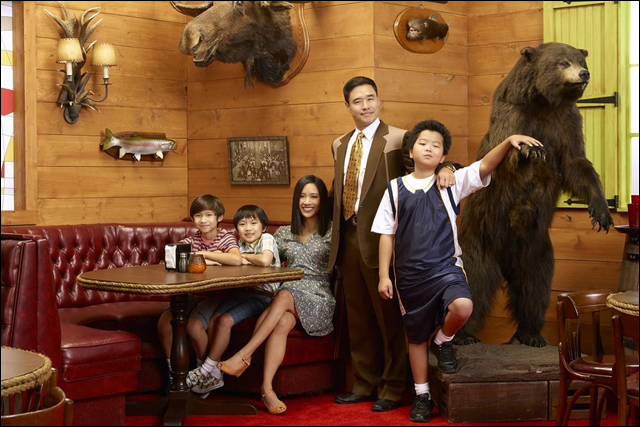 ABC's FRESH OFF THE BOAT stars the first Asian American sitcom family on network television in over twenty years. Visual Communications, Angry Asian Man, the Japanese American National Museum, and Dis/orient/ed Comedy invite you to a community screening to celebrate the world premiere of Fresh Off The Boat on Wednesday, February 4. Two episodes, at 8:30pm and 9:30pm, followed by a community discussion with panelists Jenny Yang, Phil Yu, Jen Wang, Oliver Wang, Milton Liu -- and you! EDIT: The screening is Pay-What-You-Can, however we are asking a $3 suggested donation to cover the location costs. Seating is first-come, first-serve, but space is limited. Doors will open at 7:45pm. RSVPing here DOES NOT GUARANTEE ADMISSION. Let's all watch the broadcast together! Join us, won't you? It'll be fun. Space is limited, and seating is first-come, first serve, so make sure you get there early! For further information, check out the Facebook event. Hope to see you there!